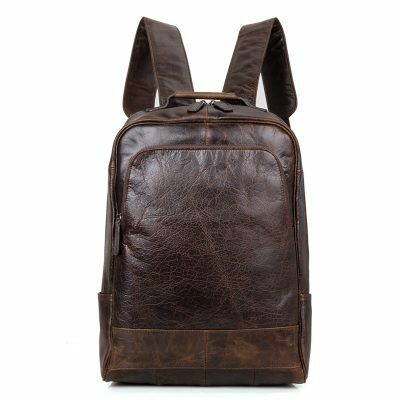 Vintage leather backpack, brown leather backpack and black leather backpack for sale, all these handmade genuine leather backpacks are free shipping. We only offer high-quality and high-end handmade leather backpacks to our consumers. The main leather material we use in all of our handmade leather backpacks is high-quality full-grain leather. Backpacks have already been super popular back in the 1990s and now experience a rapid style revival. Back then, materials like cotton and polyamide created a casual look. Today the backpack definitely goes high fashion. The quintessential backpack is no longer just for students. As the backpack that will never go out of style, backpacks have mass appeal – working for everyone from tiny tots and moms to college students and executives. Whether you’re shopping backpacks for work or play, there’s one that will perform for you. 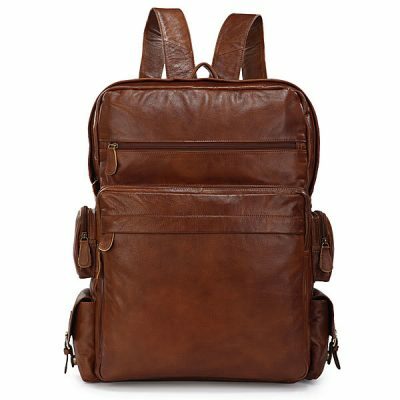 A handsome leather backpack is super versatile, and depending on size can serve as a handbag, a laptop backpack or a briefcase without missing a beat. A roomy main compartment, well-placed pockets, and handsome design are the essential ingredients for a great leather backpack. 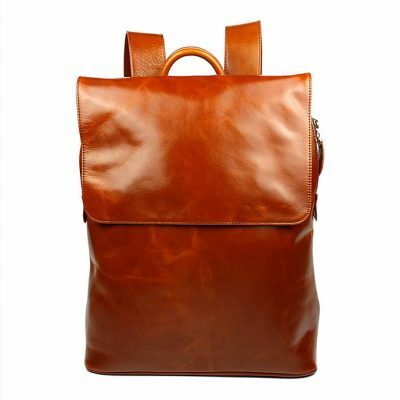 At VANGOSEDUN leather you can find a classic, elegant, noble leather backpack suitable for every occasion. 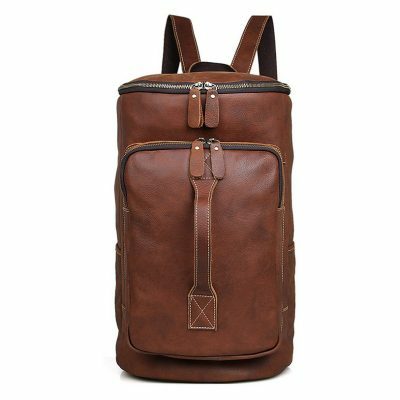 Sturdy and extremely durable leather backpacks can take you through hiking adventures, camping trips, travels or even just update your wardrobe! 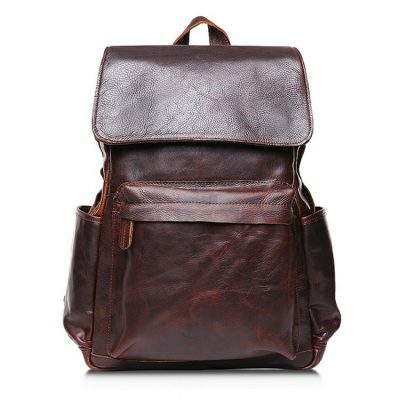 Full grain leather is soft and supple, and leather backpacks only look better with age. 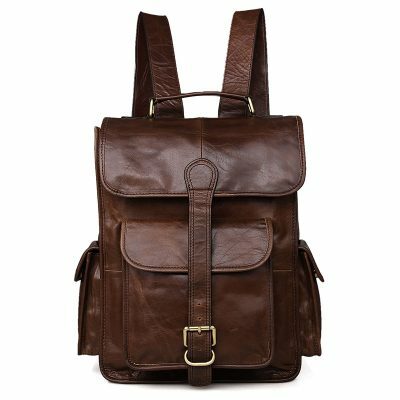 Leather backpacks are available in a vast array of colors, styles, sizes, and features; there is a leather backpack for every need and personal fashion taste. 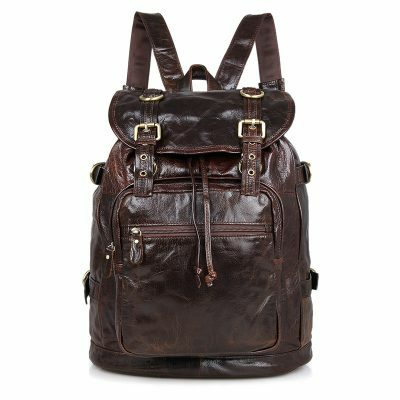 A leather backpack offers you versatility, chic designs, and a variety of natural colors including shades of black and brown as well as colored leather such as red, blue and more. 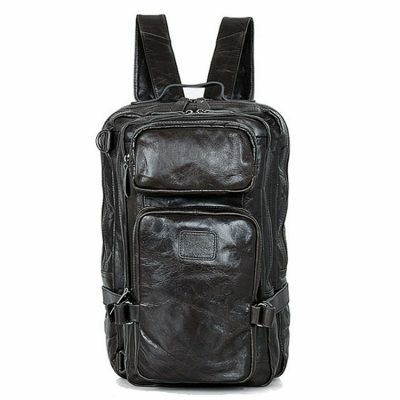 The sleek, modern and plush look of a leather backpack lets people know you want the best in craftsmanship and design. Our leather material from Italy; leather dyes, surface treatment, and threads are from Germany and Japan; hardware is from American and Taiwan; the whole leather goods are handmade in Hong Kong. In a world where fast fashion dominates, at VANGOSEDUN Leather, we take time to carefully think and move through the design process to create a timeless collection that lasts more than a season in both function and style. We are known for leather goods that are truly functional and classic by blending the finest combination of leather and hardware to create durable and timeless designs. We believe timeless designs are always modern and true beauty gets better with age. 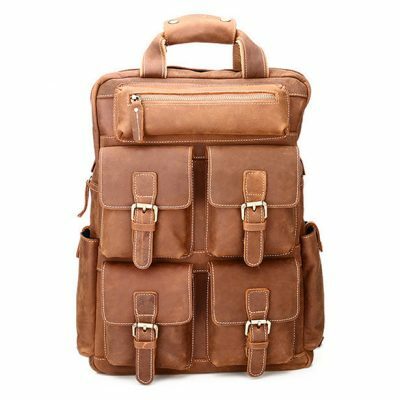 Backpack Purpose: The first factor to consider before buying a leather backpack is the primary purpose of the backpack. Users who want a leather backpack for daily work commutes do not need the most rugged leather backpack, but one that provides comfort and high breathability. Outdoor enthusiasts who make long treks into the wilderness place more of an emphasis on leather durability. Durability means leather that can withstand constant impacts from debris and prevent moisture damage. Backpack Material: If you’re looking for something classy and functional, leather is the only option. 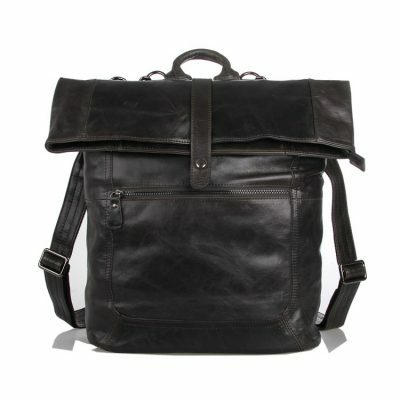 The quality of leather used to manufacture a leather backpack determines not only longevity but also comfort and style. Full-grain leather refers to hides that have not been sanded, buffed, or snuffed to remove imperfections on the surface of the hide. The grain remains to allow the fiber strength and durability. The grain also has breathability, resulting in less moisture from prolonged contact. 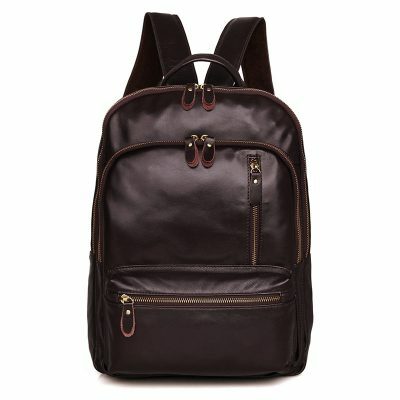 High-quality leather backpacks are often made from full-grain leather. Backpack Shoulder Straps: Regardless of whether a leather backpack includes one shoulder strap for bicycle commuters or two straps for long excursions, users need to find leather backpack straps that provide comfort. 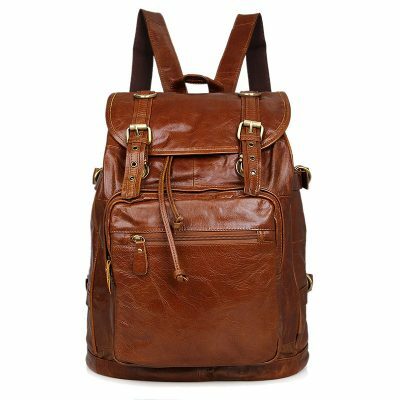 Some leather backpacks include straps that dig into the skin and place immense strain on the shoulder. 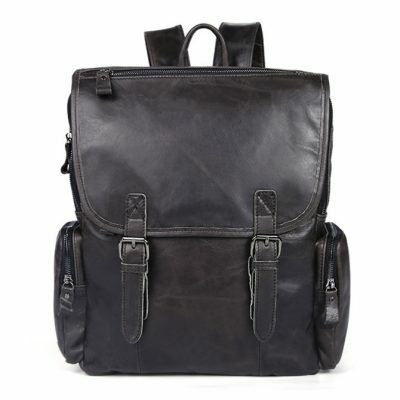 Leather backpacks that include one or more should straps that have a suede backing ensure a high comfort level. Consumers should consider shoulder straps that include rugged swiveling clips for adapting to sudden changes in movement. 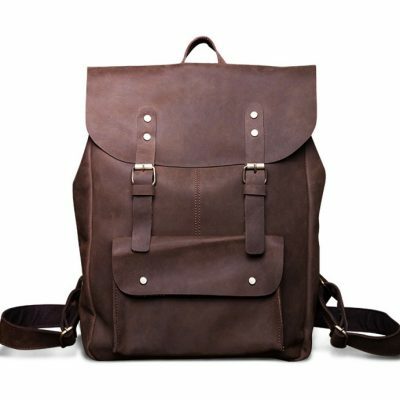 Backpack Storage Space: Leather backpacks come in a wide variety of shapes and sizes. Consumers can find smaller backpacks that they can sling over a shoulder and work best for users who only need to transport paper documents. Bicycle commuters need more space and should search for a leather backpack that includes multiple side pockets for storing electronic devices. Outdoor enthusiasts who need a large leather backpack for storing multiple days of supplies need a travel backpack that has enough space to store a sleeping pad, cooking supplies, and fresh changes of clothing. Do you know how to take good care of your leather backpacks? Well, one of the most important rules you need to consider all the time is to condition and clean leather backpack every after few months. You can do the cleaning process based on your own observation or judgment. When you think that the leather backpack is already dirty, then it’s now the time for you to do the necessary cleaning process for it. Well, it is always a nice idea to get into a positive habit of maintaining and caring for your leather items and leather backpacks that you have will never be an exception. 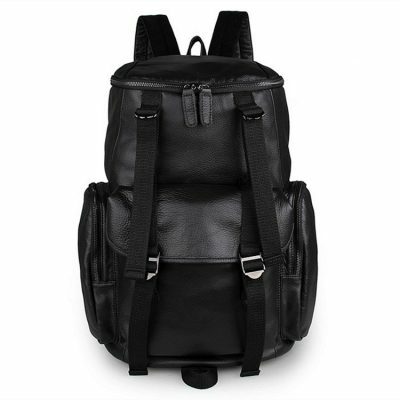 As you perform the right way of taking good care of your leather backpacks, you’re assured that you can prolong their life and prevent brittleness and cracking to arise. Before you start with the process, you first need to follow all the instructions given by the manufacturer. Try to determine if the leather backpacks you have offers cleaning and maintenance instructions for you to follow. There are instances that some leather backpacks are providing easy to follow care instructions that you need to put into priority. 1. Make use of a toothbrush or any type of soft brush to remove dirt. This is an essential way to loose off some dirt which is accumulated by your leather backpack. 2. You can also make use of a leather cleaner to clean or take good care of your leather backpack. Before using any type of leather cleaner, you need to make sure that you’ve already wiped off the excess dirt or any liquid substance in your backpack. Doing this, you need to make use of soft type or cloth to gently remove or wipe off the entire dirt. 3. Condition leather backpack. This is considered to be an optional step but this is considered to be highly recommended for your leather backpack preventative care. Making use of leather conditioner right after cleaning your backpack would definitely leave your backpack supple and hydrated look. This can even add protection to your leather backpack against dirt and stain. 4. Right after conditioning or cleaning the leather backpack, you need to at least give it a day to completely dry before trying to make use of it again. It is always essential to let leather backpack to dry before you try exposing it to some other elements. 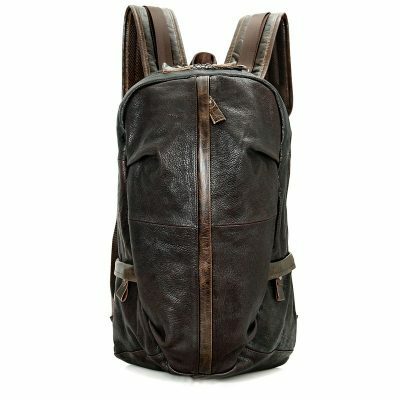 Hot search: leather backpacks, leather backpack, brown leather backpack, black leather backpack, vintage leather backpack, small leather backpack, best leather backpack, leather backpack online, handmade leather backpacks, leather travel backpack, leather laptop backpacks, leather hiking backpack, men’s leather backpack.